SightMD has 57 doctors at 25 office locations. 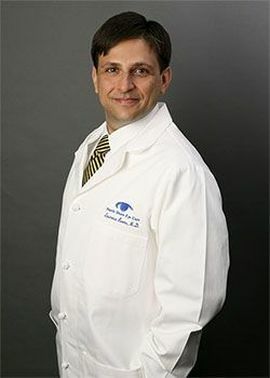 General Ophthalmology, Neuroophthalmology plus 3 specialties, 15 conditions treated, 15 procedures. 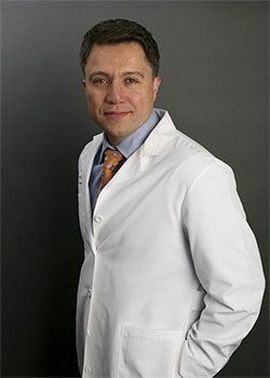 Paul A. Choinski, M.D., F.A.C.S. 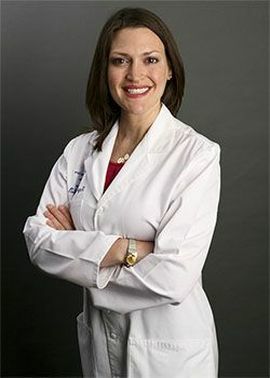 Grace M. O'Malley, M.D., F.A.C.S. He was an excellent doctor, very professional. The staff was very friendly and extremely helpful. Everyone knew what they were doing and did it well. I felt very welcome. 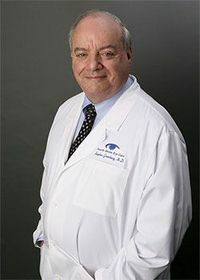 If you are looking for a highly skilled outstanding cataract surgeon Dr. Van Valkenburg is a great choice.The office staff is very through and professional every step of the way-very attentive staff that assist with all details of the surgical process. 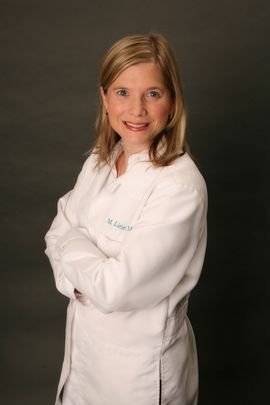 -I am an out of state patient that the staff and doctor did an exceptional job of coordinating delivery of services. As a patient I wasn't sure what to expect, but Dr. Van Valkenburg a highly skilled eye doctor patiently eased my fears and provided detail explanations. Pre-testing and using state of the art equipment and surgical devises. I was impressed with Dr. Van Valkenburg's attention to detail and precision of her work.I had a fabulous outcome and am so blessed to have my eyesight back! My only regret is that I didn't have the cataract surgery sooner. I more than highly recommend this doctor and staff. I have been working with North Shore Eye Care for many years. Their attention to detail, cheery staff, and fantastic eye care make the Huntington location the only place that I'll ever go get my eyes checked at! So glad that I choice the LASIK procedure!!! I was so nervous before I had it done but this office made me feel comfortable from the moment I walked in !!! Dr Mauro and his staff was so kind and did such an amazing job !!! Throughout the whole procedure he made sure you knew what was going on and how much longer was left !! I Wish I had choose to do this sooner !! Everyone was wonderful, incredibly nice and helpful. Dr. Martin did my LASIK procedure and could've have been more informative and friendly. Absolutely recommended in every way. I would recommend NS eye care the staff and doctor were very professional and answered all my questions. Lasiks surgery was a life changing procedure and I would recommend that everyone have it performed. 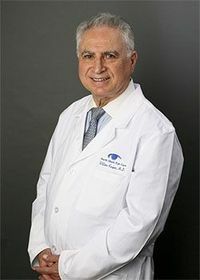 I cannot speak highly enough about my experience with Dr. Mauro and everyone I encountered through the LASIK process. Their care, concern, and professionalism is above and beyond what I've ever expect, and I highly recommend them. Dr. Mauro performed Lasik surgery on me in December, and now my eyesight is so much better. He is a wonderful doctor, very caring, wonderful bedside manner and takes the time to listen and explain. The Smithtown office is very professional and everyone is so nice. I would recommend Dr. Mauro to everyone. It was a very positive experience. Thanks, everyone! 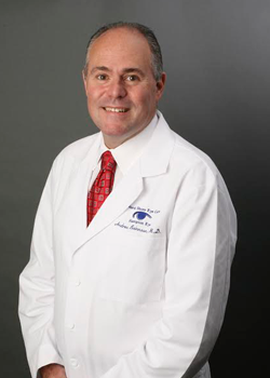 Dr Mauro saved my eyesight from a long battle with Uveitis. 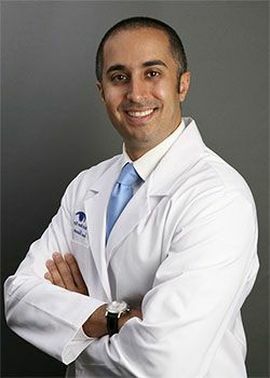 He is the most caring, compassionate and knowledgeable Dr. I know and I highly recommend him. The entire staff at this group is great! I have been absolutely thrilled with my iLASIK procedure from the seminar all the way to the post-op follow up visits. I have complete confidence that I am getting the best possible care. I love Dr.Mauro!! Right from the start I had a good vibe about him. He presents himself with good bed side matter and actually cares about his patients. He answers all of your questions without making you feel rushed. 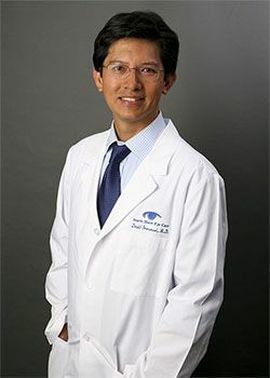 He has a great personality and I trusted him 100% with doing my LASIK surgery. I could not be any happier with the results !! The staff is also really friendly and they make you feel very comfortable. The entire office is accommodating and I have not met one mean person who works there. Doctor David Emmanuel was the best doctor ever. 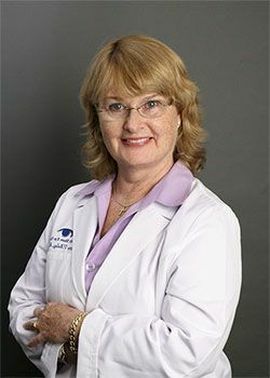 North Shore Eye care are very professional and truly care about all of there patients. I recently went in for the LASIK surgery on May 25th, 2015 and it was truly the best decision/investment that I ever made. This practice cares about having the latest technology and being able to provide the best service possible for their patients. I can honestly say that i am extremely happy with the outcome of this surgery. The actual surgery time is less than 30 minutes and the recovery time is about two days. It is truly life changing and Dr. Mauro was excellent from the consultation to after the surgery. I would strongly suggest getting this surgery as it will be one of the best things that you ever do for yourself. Had a great experience withDr. Baharestani. He is very professional and answered all of my questions. I'm glad I found him to take care of my eyelids. I recently had lasik done at north shore eye care by doctor Mauro and I can honestly say I couldn't be happier. 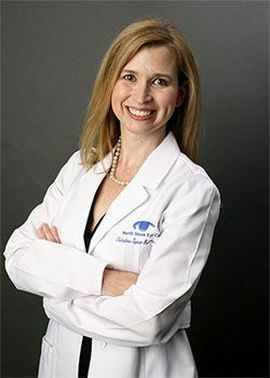 My whole life I've seen a number of eye doctors who constantly told me I would never be a candidate and it was just impossible because of my perscription. However, I went to go see dr Mauro and he told me that the impossible was possible. Everything about my experience at north shore eye care was great. I never had to wait long and the staff made me feel so comfortable and taken care of. Today is the day after my surgery and I can see great! My decision to get lasik and to get it done at north shore eye care was the best decision I've ever made. I would suggest it to any and everyone who is tired of glasses and contacts because it will truly change your life. 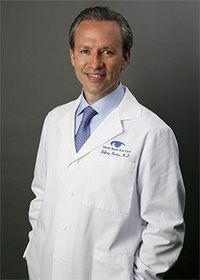 I just recently had my Lasik surgery done at North Shore Eye Care with Dr. Martin. All of my visits from the initial consultation all the way to the post operation visit have been very pleasant. The entire office staff is very nice and professional. 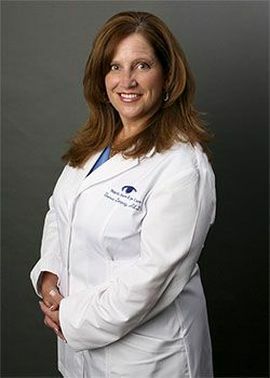 Dr. Martin made the surgery very easy to proceed with and the surgery itself produced the results I was looking for. Excellent people skills. Is genuinely interested in her patients. It took a little extra time to work with my 86 year old Mother, and the Doctor was very sweet and pleasant, as well as knowledgeable and helpful. 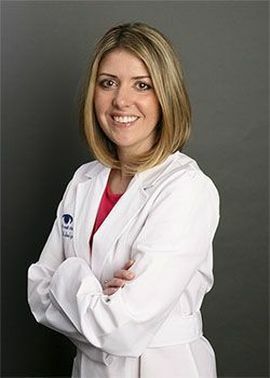 I can't say enough good things about Dr Dempsey! I am a 48 year old wife, mother, and grandmother. I have some physical disabilities. My prescription for glasses was very strong. I wasn't legally blind but felt very close to it. I couldn't wear contacts. They would dry out my eyes, make them red and it just wasn't worth it to me. It took many years to get the nerve up just to go in for a consultation. I had many questions in person and by phone. Dr. Martin and the staff never made me feel like the simplest question was stupid. I felt like a pest but everyone was so courteous. Dr. Martin was so encouraging. He made me feel secure in my decision to go through with Lasix. The day before my Lasix surgery I had about 20 panic attacks. Never in my life had I panicked so much. I was afraid of being blind. I would rather lose a limb. The morning of the procedure I had 6 more panic attacks. By the time I made it to the office my entire body was shaking. I was talking fast to anyone who would listen. I explained this to the receptionist. My wait time was minimal. I was taken in and given something to calm me down. Again the procedure was explained to me in detail. I was told exactly what to expect. I saw a man go in before me. He was just as nervous as me! When he came out with clear plastic shields over his eyes, he had the biggest smile on his face. He told me it was a piece of cake. Yeah! Right! My name was called. I walked the short hallway to the exam room. It felt like a mile long. Dr. Martin came in. Again, he was so kind and encouraging. I explained how scared I was and I was ready to back out. I just wanted to go home to my safety zone. I can deal with glasses some more. Go! Run! But again Dr. Martin said I would be ok. He took his time with me and basically held my hand. Now I needed to walk a short hallway. I passed one door. The surgical room is right in front of me. RUN! I took a deep breath and laid on the examination table. I was given 2 stress balls, which probably now have 10 fingernail marks in them. OK! Here we go! Suction cups were put on my eyes. That was the pressure I was told to expect. Did you ever close your eyes and press your fingers against your eyelids to see little stars of colors? This is what it felt like to me. It lasted seconds. My head was moved to my left. Sit still. Don't move. I kept telling myself. Next thing I knew Dr. Martin stated the flap had been made. What? I never felt a thing! Can't be! He must be mistaken! The table was moved inches to my right. Just stare at the orange light. The machine made a zapping noise. I jumped. Remember, I'm still terrified. Dr. Martin asked me to stay still. Ok. I won't move a muscle. I'm concentrating on my breathing. The staff and Dr. Martin are speaking to each other. Some things I understood, others went over my head but I was always told what to expect and asked if I was ok, which I needed for my sanity. The suctions cups were removed at some point and tape put on my eyelids (I think before I was told to look at the orange light). Please Lord Let This Work! Don't let me be blind! DONE! What? Did Dr. Martin just say one eye was done? I felt like we just started. Something cool and white was being stroked on my eye. It felt nice. The tape was removed. Next eye. The same procedure done to my left eye was now being done to my right. DONE! You got to be kidding me! Where was the pain? I was helped to sit up. Dr. Martin asked me, "What time is it?" I haven't seen a clock in over 30 years. I had trouble seeing one with glasses on. I looked at the clock. I was in awe. I couldn't speak. "What time is it?" asked Dr. Martin again. "It's 4:21 pm," I replied. Then I promptly burst into tears. I COULD SEE WITHOUT GLASSES! HOLY CROW! UNBELIEVABLE! Its been 2 days since my Lasix surgery. I'm still walking by and telling the time to anyone who will listen. THANK YOU DR. MARTIN AND YOUR STAFF! Words just aren't enough for this miracle that has been performed. Sincerely, Deborah Fischer p.s. By the way, it's 7:24 pm. Thank You Doc. Excellent job on my eyes. Recently, I received Lasik from Dr.Mauro and by far this has been the best decision ever, wish I did it sooner. Dr. Mauro takes his time and explains everything step by step. The staff there is very knowledgeable and patient with you. I HIGHLY recommend getting Lasik surgery at North Shore Eye Care. Again thank you Dr. Mauro!! Dr. Buono spent a great deal of time with me addressing my eye issues. She was thorough, attentive, informative, and knowledgable. I just had my lasik done yesterday and today my vision already is 20/15!!!!! I absolutely loved the process of getting it done!!! The staff was extremely caring and nice! They answered every question i had and made me feel very welcomed!!! Dr. Zweibel is hands down one of the most genuinely nicest doctors I've ever met! The lasik coordinators Kelly and Ashley are extremely nice and what they tell you is dead on how it feels and what happens definitely listen to them!!! I am soooooooooo happy with my 20/15 vision!!! I highly suggest going to them!!! Very professional and caring staff. Dr. Martin performed LASIK on my husband over 5 years ago and he still raves about his results. I wouldn't recommend anyone else. Imagine the ideal ophthalmology practice of the future. Where you and your family enjoy access to world-class eye care seven days a week, including Sundays. 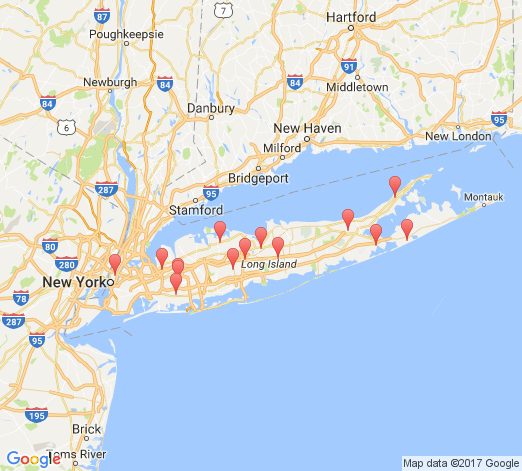 Where award-winning physicians provide the personal, quality care you deserve from your doctor...in the convenience of your local Long Island neighborhood. Where a team of eye care professionals build on their reputation of eye care excellence...that spans more than 50 years. Welcome to SightMD, the next-generation in comprehensive eye care and Long Island, New York's fastest growing full-service ophthalmic provider group. 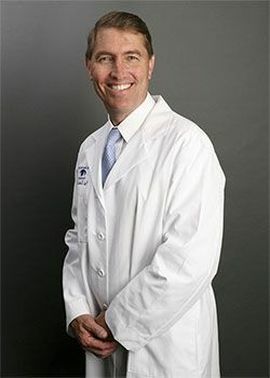 Jeffrey L. Martin, M.D., F.A.C.S. 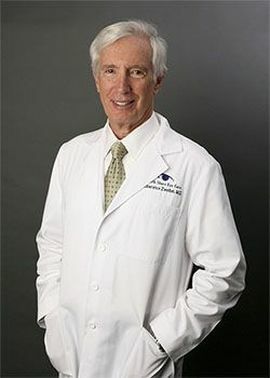 William S. Kasper, M.D., F.A.C.S.